Today I was with one of our clients, Eileen. I'm not quite sure how it came up, but Eileen started talking about Kumla. My father was Irish, mother French, so I had never heard of this Norwegian dish. Eileen is one of 9 children, Norwegian descent and proceeded to share with me this wonderful, hearty dish, that will warm the cockles of your heart. It all begins with homemade ham broth. Potato dumplings are made of raw, grated potatoes and boiled in the broth. Traditionally, the dumplings are dipped in a dollop of butter. What a perfect meal, I thought, which my husband would very much enjoy this weekend. So I started asking Eileen the details of making this dish. She told me how you grind the potatoes, sprinkle with salt and let stand, to allow the moisture/starch to be removed. Add egg, baking powder and flour until the mixture is firm (not sticky). 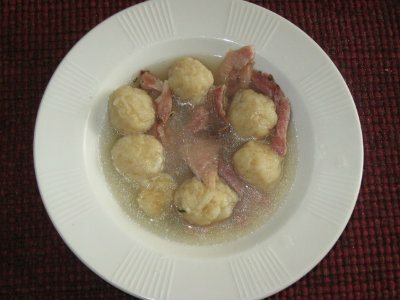 Roll into small balls, then drop into the boiling ham broth to cook. 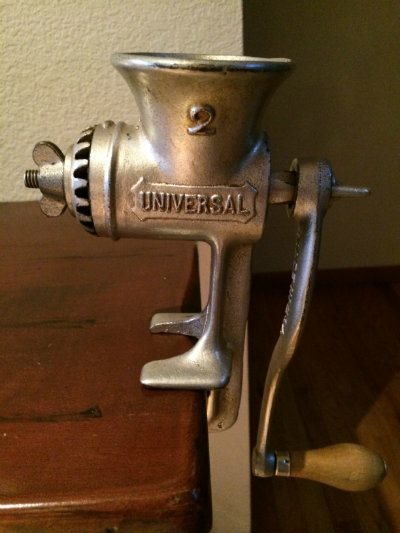 "How do you grind the potatoes" I asked. Eileen proceeded to fish through her kitchen cabinet and pulled out her grinder. She was kind enough to let me borrow it, so I could give it a try. I am very excited to give it a go. This weekend I will try to make Kumla for the first time and will keep you posted as to how it turns out!